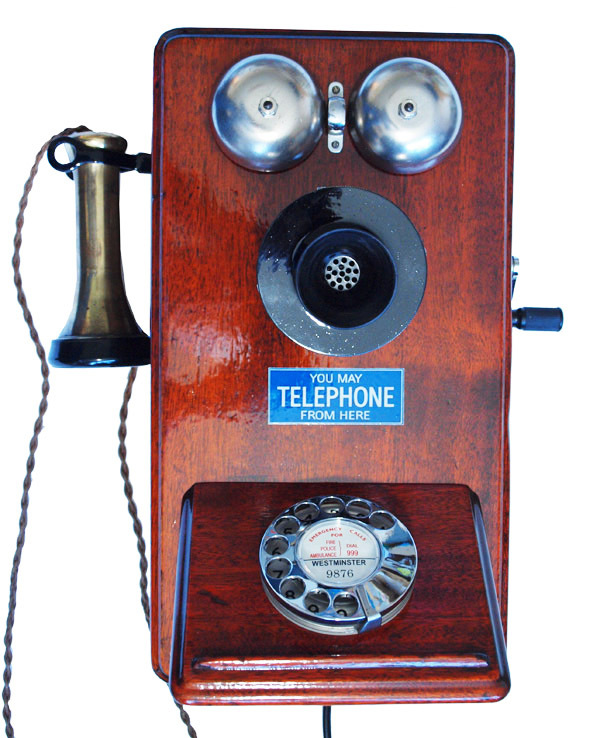 << Back Wooden telephone as used on railway systems etc. 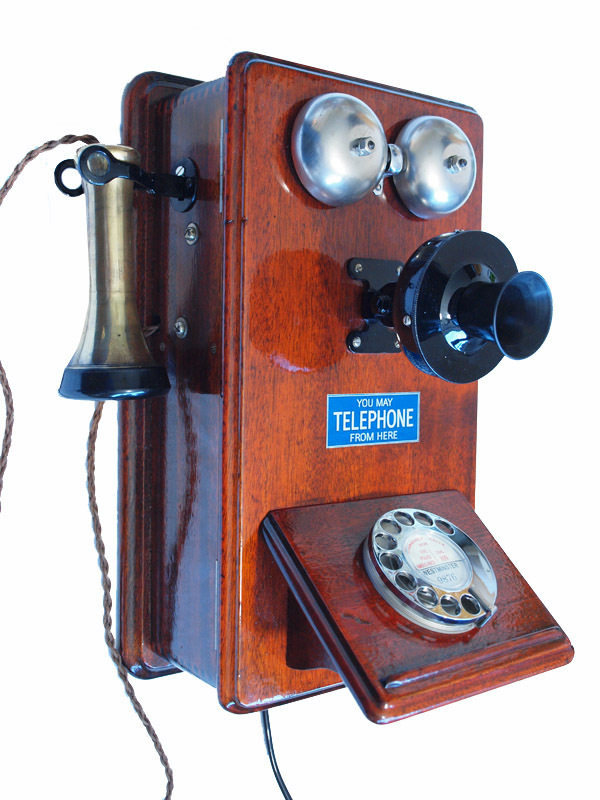 Wooden telephone as used on railway systems etc. This model was used on a battery operated system and would have been used in signal boxes or large internal systems. 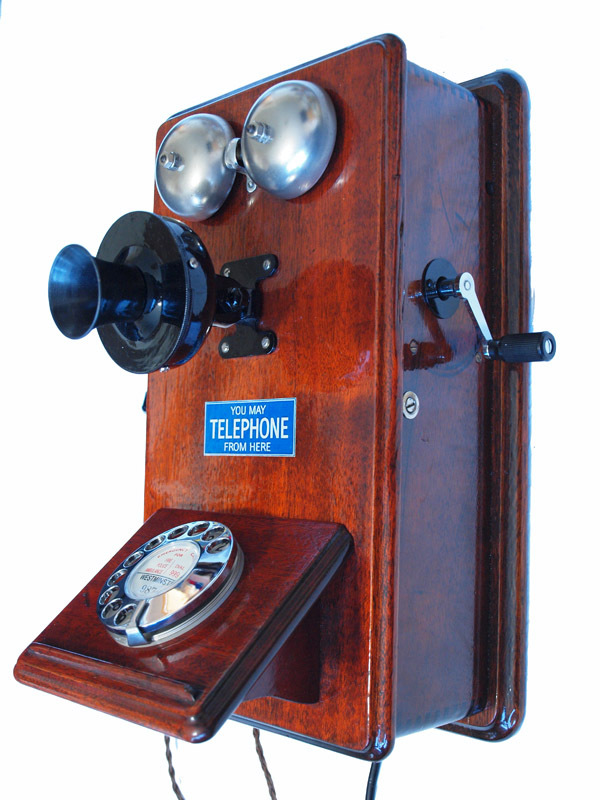 This model was never able to be used on a modern system and did not have a dial. 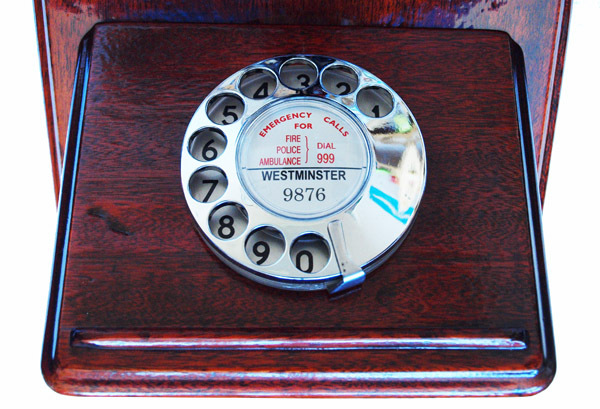 So many of these lovely telephones have been discarded because of this and so because I like them so much I have made the modifications to enable them to be used. This will not appeal to the collector but will appeal to people that want something that was made and used in the 1930s-1950s and can be used perfectly on the modern system. The wooden box and many of the components are original and I have added a dial and other parts to bring it up to modern standards of receiving and transmission.